Led by Wayne Horvitz, The Meter Maids play the music of New Orleans based funk band The Meters. 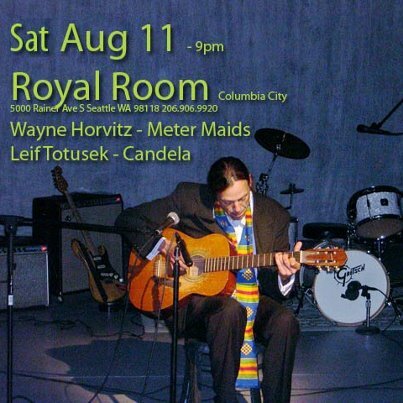 Leif has a great feel for African guitar and his group Freestyle Candela sizzles with spirited soukous, high-life and other Afro-pop styles. Joining Leif are: Mohammed Shaibu-bass/talking drum ; Edward Souarez Drums and vocals; and Yaw Amponsah/percussion. This entry was posted in African Music, Funk and tagged Rumba. Bookmark the permalink.